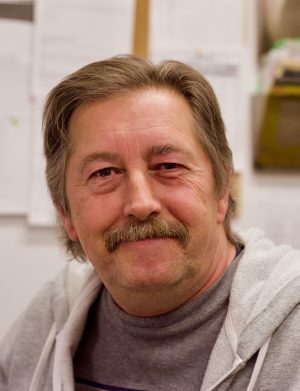 Jan has spent his whole career in the wholesale supply industry here in Thunder Bay. Starting in the mid 70’s as a delivery driver for a local wholesaler he quickly moved from there into the warehouse as a warehouse clerk and within a couple years was promoted to Warehouse Foreman. Over the next decade he worked his way through the ranks as order desk, purchasing, inventory control and other management positions. After over 40 years in the supply industry, he aligned himself with the Fastener Group, one of the largest distribution networks in western Canada and in April of 2009 opened Thunder Bay Fasteners and Tools. From humble beginnings operating from a 3000 square foot warehouse catering mostly to the construction industry, in 2014 he moved Thunder Bay Fasteners to its present location of over 6000 square feet and over a half million dollars of inventory. He has made Thunder Bay Fasteners the go to for industrial, commercial, and residential supplies. He is married to Cindy and they both enjoy camping, fishing and spending time with family, especially their grand kids.